Have you ever had a manicure stuck in your head? The only known cure is to sit down and paint that manicure! I've had this one stuck in my head for weeks, and while it isn't quite as great as my brain imagined it to be, I still really enjoyed it! First off, this is my first time doing an ombre manicure where each nail is painted a different color. I couldn't find anything that talks about names for the different types of ombre manis - and there are many! What is up with that? Anyway, this was a manicure born of gazing into my box of untried polishes. I started out with my "ideal brown creme" family - all from Zoya. My thumb and index nail were painted with Zoya Farah, then I used Flynn, next Louise, and my pinky was done in Nina. Two coats of each plus topcoat and they were looking so lovely! While Nina does has an oxblood-red base it is so dark that I think it can pass for a true brown. Nice and chocolately. 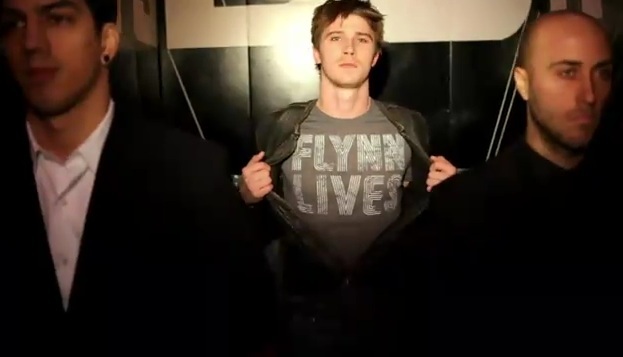 Flynn lives. Please don't tell me I'm the only geek to make that connection. (Flynn was also the name of the guy in Disney's Tangled. Are there any girls named Flynn?) Okay, enough rambling. Manicures. Nail polish. Glitter. Focus. I used 2 coats of ILNP A Nice Chianti for the glitter accents on each nail. The formula was the usual for ILNP - a bit thick and sticky but no fishing for glitter. A Nice Chianti is made up of deep berry-colored glitter in multiple sizes, and while it popped over Farah and Flynn it was lost on the darker colors unless the light hit my polish juuuust right. So, I really did like this manicure and I want to try this look again some time with a more contrasting glitter accent. These polishes all wore very well, too! Do you have any suggestions for more great browns that don't lean into red, peach, or poo territory? (Remember China Glaze Mahogany Magic? *shudder*) Are you a girl named Flynn? Let me know!